geodave's Content - CC Zone: The Next Level - Chip's Challenge/Tile World website! Conversions to cc2 map files (including solutions) for my two CCLP1 levels and Rockdet's 6). Minimal changes as needed to work in cc2. Except for TLS, which has the optimize bug fixed and required major rewiring. Just to be clear, i would like geodavecc2 and geodavekool to be submitted. 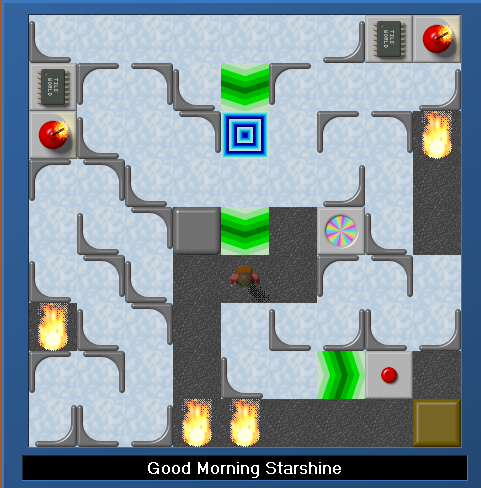 These are the steam-shared versions of geodave5 and Oracle of Light and they are better just because. My latest levelpack released as it's being built. I am continuing to make cc1 levels....slowly. Feel free to comment. First six levels verified solvable in lynx and ms.
Any way to make monsters skate? Okay so there's only a couple levels, but this is designed to hold submissions for CCLP5. If that ever happens. Okay I didn't read EVERYTHING above, so I might be repeating some stuff. Let's get creative with the name...like CC2 Ragnarok. 169 levels is my vote. 100x100 no. 100x4 sure. Limit the total area to 2000 tiles. CC1 boots is probably a bad idea. 10x10 viewport. Let's be CC2. I also would consider split-screen levels. Weird tiles okay...but severly limited. Alternately, couldn't it be possible that life used to exist, but the conditions that permitted it to exist long ago became unstable and disappeared? Highly likely. But it's also possible that life is all over the place, but doesn't possess the technology to contact us. Reverse (abs (Flareon350) + 8) plus a couple because I was slow. I think my Dad's family is from there. How does the rover work? For example, does it become a blob at some point? And, if it does, can it spread slime?